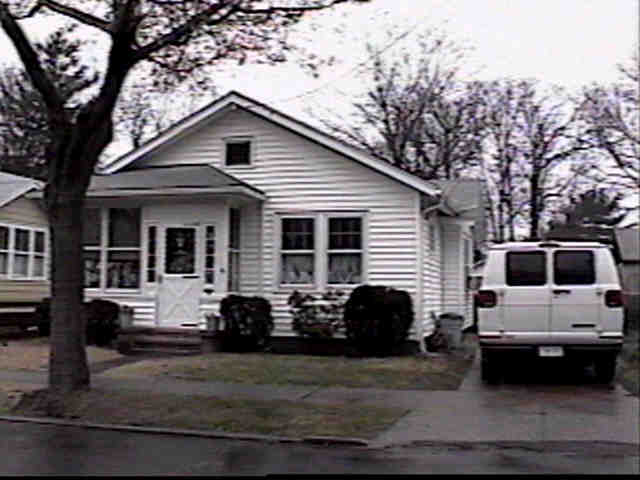 BANK OF AMERICA ATTACKS CT. HOMEOWNER�S RIGHTS BY COERSION AND INTIMIDATION. transworldguy1@att.net 203-74-1251 West Haven, Ct. The Senior Couple Has Been Referred To Foreclosure And They Need Your Help And Moral Support. On August 3, 2012, Mrs. Mandell of West Haven, Ct. received a letter stating her mortgage was referred to foreclosure due to her refusal to sign and return modification and gag order settlement. This is the result of two separate offers made to Mrs. Mandell. The latter of the two, offered to them by Bank of America�s Mr. Mark Bragg, Senior Vice-President (805) 917-1805 was somewhat acceptable but BOA was still demanding Mrs. Mandell to waive her first amendment rights to free speech and press from the beginning of time and forever, as well as her husband�s, including the right to any legal representation now and forevermore. Copy of �Settlement Gag Order: http://bankofamericaslavecontract.weebly.com/ Would you sign this? They�ve petitioned federal and state government leaders for assistance in dealing with the bank, but their pleas fell on deaf ears. This lack of help for these citizens from Rosa Delauro, Richard Blumenthal, the OCC, CFPB and Attorney General George Jepsen leaves this elderly couple helpless in this, the eleventh hour. The Mandells are now being used as �Poster Children� to show any other critics that may want to fight back what happens when you disagree with Wall Street and the government. Both Mandells are prepared to continue to fight and warn other homeowners not to sign waivers and demand the government to ban this practice immediately. Mrs. Mandell is a hardworking, conscientious employee, who started working for a company named Fire-Lite Alarms in New Haven, Ct. in 1985, and then Honeywell Industries purchased the company in 2000, now the company is located in Northford, Connecticut. �This provided her and all the employees a feeling of increased job security as Honeywell, headed by Mr. David Cote, is a well-oiled machine that knows how to grow honestly, responsibly and knows how to treat customers and it�s employees.� Mrs. Mandell added. They are both convinced that the U.S. will keep deteriorating to the level of a Third World Country if Wall Street is allowed to wield the un-natural powers that they�ve been granted by our government. They must be fettered and prosecuted for their crimes, not forgiven and allowed to run wild to only commit the same crimes over and over at the expense of the World Economy. It�s becoming clear that the banks have more power than any average American realizes and our government won�t even lift a finger to stop them from foreclosing or demand them to modify. The banks do just about anything they want to get their way, just short of murder. Will that be their next endeavor to reinforce it�s grip on the government and it�s people? Nothing would surprise the Mandells. This couple will be celebrating their 40th wedding anniversary in February of 2013, but where, is up in the air for now. Now, their lives and future on in the hands of a Farmington, Connecticut Law Firm/Foreclosure Mill that is ready to leave them without anything, drain them of every last dollar and possession they own to feed their just as insatiable need for greed. You might be familiar with the law firm, which is Bendett and McHugh, which also operates in Vermont, New Hampshire, Maine, Rhode Island, Massachusetts as well as Connecticut on behalf of most for all the the Wall Street Banks. We as Americans, cannot let these officials and bankers quiet us, where we can�t express our opinions and disagreements by way of free speech and press as we will all become sheep ready to be slaughtered and abused.